March 3, 2019: Founded in 2010, the California Audio Show is launching the official CAS YouTube Channel. Constantine Soo, founder and producer of the show, offers the following: ‘Back in 2010 when there was only the Rocky Mountain Audio Fest in October in Colorado, I was of the belief that the audio industry could use a show in California and we have enough proper demographic to support it. And who better to spearhead the effort than a web magazine? I have to admit, I slept in this morning. 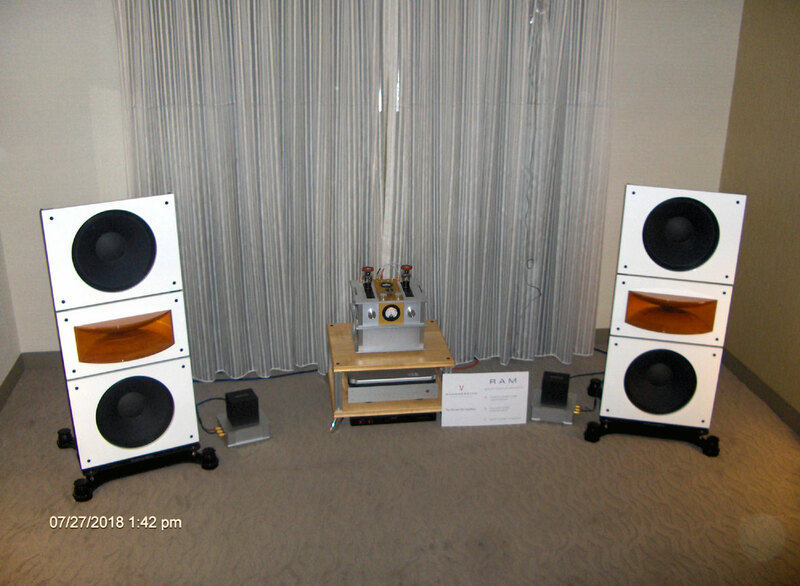 Last night I hung out with Peter Soderberg of MartinLogan and a few other exhibitors from the show, talking about vintage audio gear and commiserating on what has happened to the retail market and High-End market in particular. But today is another group of showrooms ready to be heard. 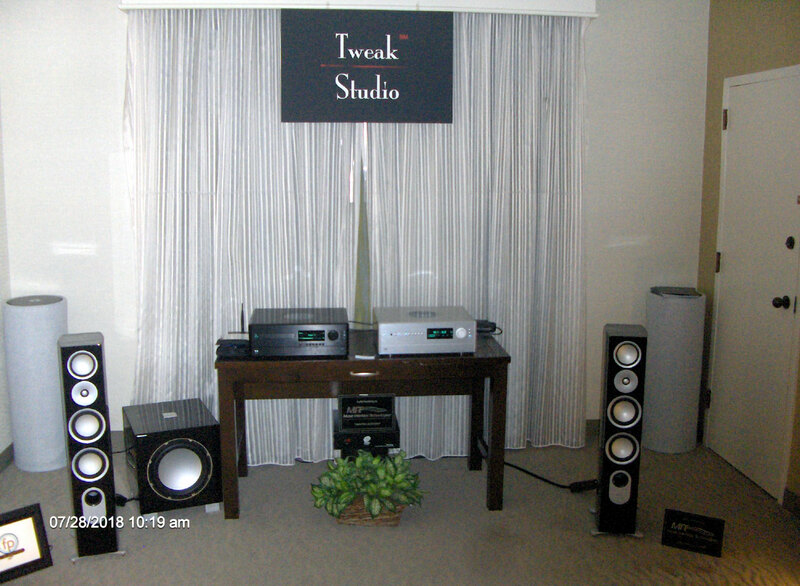 First on the list is Tweak Studio, a high-end dealer established by Arnold Martinez in Chicago back in 2006 and now has offices in Southern Cal. Whammerdyne is known for its very high-end low-output power amps. 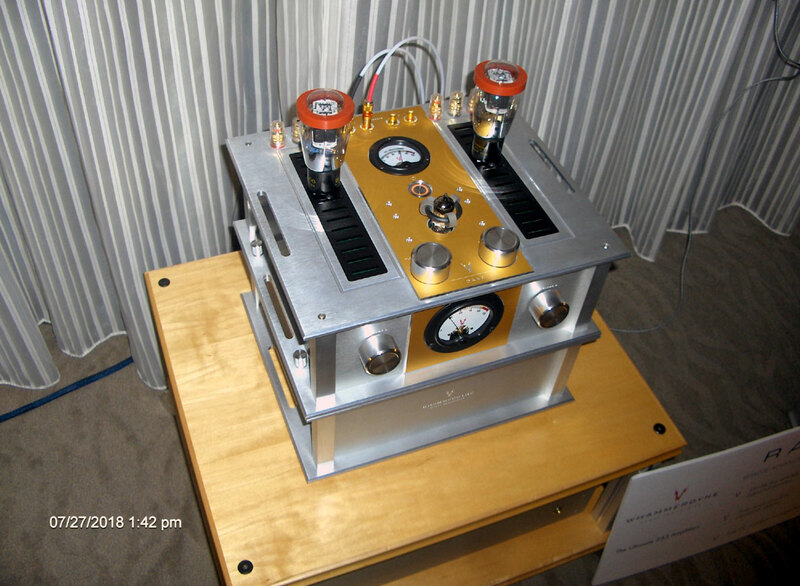 On display was what they call “The World’s Finest 2A3 Amplifier,” the DAA3+ RAM 22A3 ($6,900). By the way this is short for Damn Awesome Amplifier + Remote Advanced Magnetics. Have to admit it was pretty cool. I was able to start my morning at CAS8 a little before the show opened. This was Constantine Soo’s 8th show, and I for one was looking forward to seeing and hearing what was ahead for me over the weekend. Since I am writing this article post show, I should point out for the Dagogo readers that room systems change from when displayers submit what they expect to show and what actually shows up on set-up day. The final part of my show report reveals the final two awards nomination, namely “Best System Performance” and the “Ultimate Cost No Object Design.” Both recipients come from the same room which were in Boardroom V. Since it is difficult to separate the components here I will say that CD sounded better here than anywhere else beating other rooms with vinyl or computer audio playback then I will award the Audio Note UK CDT Five Transport ($48,350) and DAC Five Signature ($87,825) as my Ultimate Cost No Object Design and Acapella Audio Arts High Cellini ($55,200 with La Musika integrated amp ($100,000) and Audio Note CD transport/DAC) as the Best System Performance. Entering Boardroom 3, I found my choice for “Best Industrial Design” in the Whammerdyne Truth 2a3 amplifier and Best Value in PureAudioProject loudspeakers. This is a large, 69lb $25,000 amplifier that puts out 4.2 watts per channel. 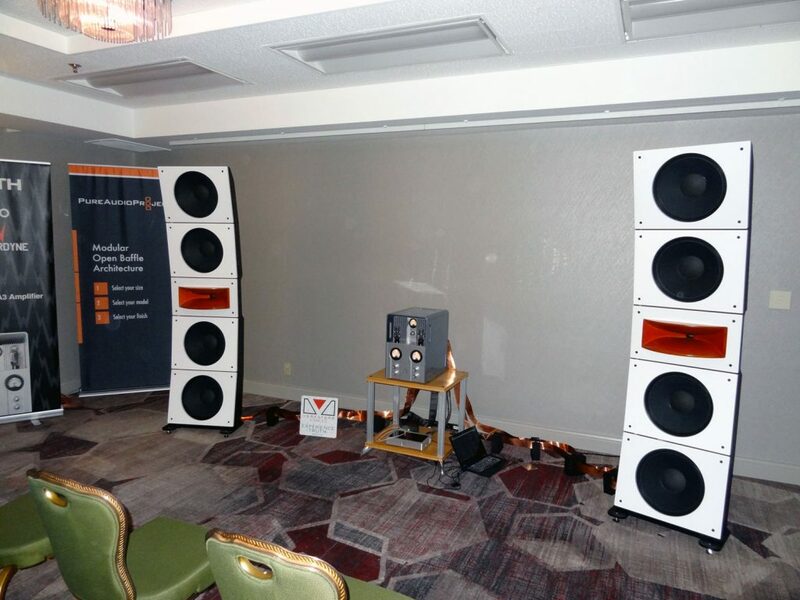 Cables were handled by Verastarr cables leading to the very impressive PureAudioProject Quintet 15 Horn1, each speaker utilizes four 15-inch woofers and a horn tweeter. However, they have several different options for you to choose and prices start at $6,990. “Best value” is a difficult thing to asses at a show, but for a larger room I felt the Quintet 15 horn has the potential to sound a lot better with higher-grade front end electronics. 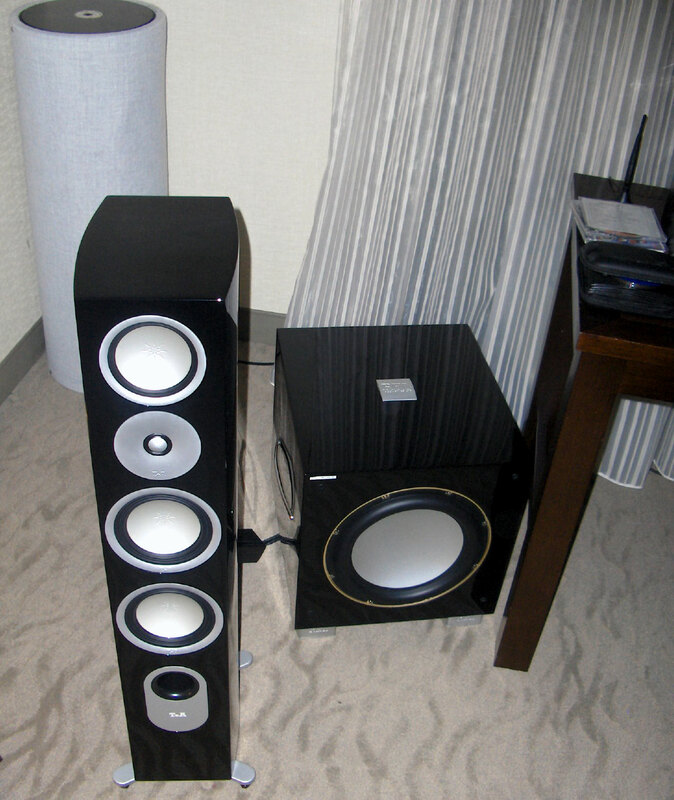 Another room that I quite enjoyed was Room 5205 using Eficion F250 speakers ($9,950), Plinius SA103 power amps ($10,150), Exemplar Audio eXception SE preamp ($5495), Oppo UPD-205 4k Audiophile disc player ($1,299) and Line Magnetic LM-502CA DAC ($1,800). 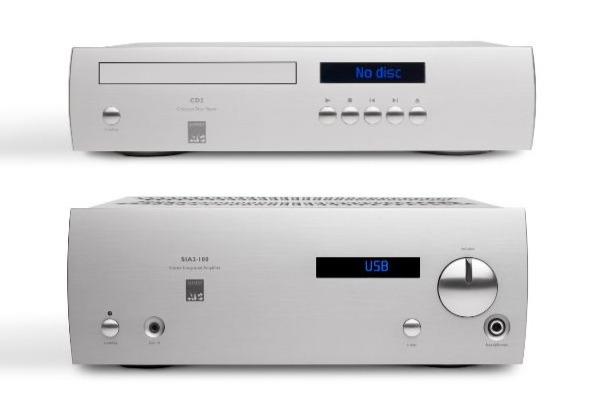 I happen to own this DAC which sadly will soon be discontinued. This system had a big rich sound with big bass. Occasional bass boom in this room but I always like to remind people that this is the second floor of a hotel. Continuing with coverage of rooms with speakers under $10,000 that I feel offer good sound for the money, here is the Spatial Audio/Vinni Rossi room. This system generated a nice sweet sound with no bass issues. Unfortunately, they did not have a CD player which left me without the ability to play known tracks. The particular piece of music was classical and seemingly without much center fill. Nevertheless, I liked what I heard. There is some terrific potential here, enough that I would like to review one of their smaller open baffle designs. 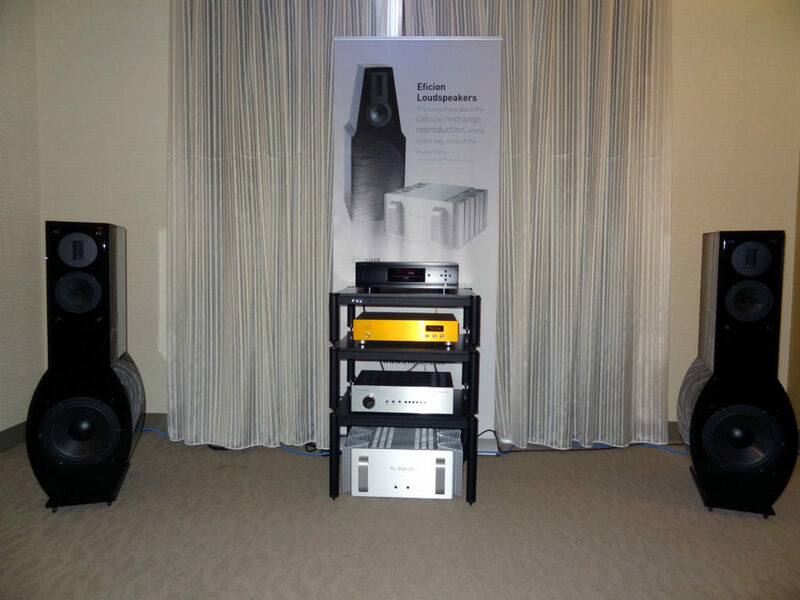 After a year of hiatus, the California Audio Show (CAS) returned to the Bay Area for its 7th iteration. The venue moved from hotels across the bay near San Francisco Airport (SFO) to the Hilton Oakland Airport, literally across the street from the Oakland airport (OAK). I’ve attended many shows in the past throughout the US as well as in Asia, but this was the first time that I attended a show wearing a press badge instead of an attendee badge.